The Canadian government announced the creation a new savings account type (Tax-Free Savings Account) which allows Canadians to contribute after-tax money without any taxes on the earnings within the account (interest, dividends, capital gains) and there will be no withdrawal taxes whatsoever. For any Americans reading, this account will be very similar to your Roth IRA account except there aren’t any restrictions on withdrawals in the TFSA. While this announcement has generated a lot of excitement in the Canadian blogosphere and for good reason, since it will be very useful financial planning tool, my opinion is that the benefits of this new savings account will be very limited for the average Canadian. Here is an explanation of the new tax free savings accounts for Canadians. First of all let’s look at some benefits and uses for this new account. In my mind, this is one of the greatest benefits of this new account. If you are saving up for a car, a house down payment, vacations or anything else, this account is the way to do it. Previously, if you wanted to save large amounts of cash then you had to pay your marginal rate on any interest earned which for most people is probably at least 30%. You could mitigate this problem with Canadian dividend stocks which are more lightly taxed, but they are still taxable and then you expose yourself to market risk since the money might not all be there when you need it. I wrote recently about how I think having a cash emergency fund is not a good idea for someone with a mortgage, a HELOC and a high marginal tax rate. With this new tax sheltered account, my main argument about paying high taxes on the interest is now a moot point so the remaining issue is the interest rate you can get on the savings account vs. the interest you are paying on the mortgage. Unless you have a huge emergency fund, this small interest rate difference might not be large enough to sway the argument one way or the other. A lot of Canadians don’t really understand the benefits of an RRSP account (American translation = 401k) which is unfortunate since it is the best tax planning and retirement tool available to Canadians by far. TFSA are not as good as RRSPs for retirement planning because RRSPs allow you to defer all the tax payable on the contribution and to pay LESS tax upon withdrawal. One of the common misconceptions of RRSPs is that you have to be in a lower marginal tax bracket in retirement than when you made the contribution. This is not the case because when you make a contribution, the tax deferral is the marginal tax on the entire contribution ie if you make $100k and contribute $10k of pre-tax income and your marginal rate is 43% then you are deferring $4300 of taxes. When you withdraw this money in retirement then you are paying the AVERAGE tax rate on the withdrawal – not the marginal rate (assuming no other income). So if someone withdraws from their RRSP in retirement and is at the same marginal tax rate as they were when they made the contribution, they will still save a lot of tax. In reality they will probably be in a lower marginal tax bracket which means they save even more tax. With the TFSA, you don’t get this benefit since you pay your marginal tax as soon as it is earned. For investors who have money in non-registered accounts either because they have already maxed out their RRSPs or other reasons, this new account is a huge benefit since they can reduce the tax drag on earnings on their investments. Previously dividends and capital gains (if they occurred) had to be paid which affects the long term returns of those investments. Saving for purchases – I don’t believe very many Canadians save for large purchases. You don’t need 20% to buy a house and things like cars and vacations are so easily bought on credit that most people won’t bother to save. Even if we are savers, most of us don’t appreciate the effects of tax drag so paying taxes on the interests may not bother everyone (like it bothers me!). Emergency fund – Similar to my previous point, how many Canadians even have an emergency fund? While our high taxes made an emergency fund fairly inefficient, with the TFSA this is not an issue anymore. I doubt it will make any difference for the average Canadian since I don’t think they will consider having an emergency fund. Retirement Savings – The reality is that there are a lot of Canadians who don’t save enough (or at all) for their retirement so introducing a new method (which isn’t even designed for retirement savings) isn’t going to help them. Since I believe that a lack of understanding of how RRSPs work might discourage some Canadians from using them, I am hopeful maybe some of those people will use a TFSA instead since it’s a lot better than nothing but I doubt that many of them will. when you withdraw money from your RRSP, this amount is added to your existing income. Therefore, you are paying your MARGINAL TAX RATE and not your AVERAGE TAX RATE. For example, if you are making 50K while working, your marginal tax rate is about 38%. If you make a RRSP contribution, you will receive a tax return of 38% of this amount (unless you make a big contribution and you hit a lower marginal tax rate). FB – I know that – I clarified the post to indicate that you pay the average tax if you have no other income. If you have a good pension then the idea of paying average tax on rrsp withdrawal is not true but in my case it is because we will get very little money from other sources. *raises hand* – I’m a geeky personal finance blogger. Yes, i’m with FB on this one. There were some comments on MDJ about only paying average tax. That’s a big assumption that there will be no other income during retirement. I can see this TFSA being very beneficial for those with defined benefit pension plans (gold ticket). As their RRSP contribution room is limited, this is their opportunity to save for extra (and tax free) income during retirement. I’m still really partial to the idea of using the TFSA contribution room to buy “income” investments as a way of a tax free salary boost. The amount of tax paid on a rrsp withdrawal is very dependant on the scenario. In our case we hope to live on about $45k (gross) per year which is split between two people. If I retire early enough then there will be NO other income for several years so the amount of tax paid on the rrsp withdrawal will be the average tax. Later on when CPP & OAS kicks in then the tax rates will rise for the rrsp withdrawals but they still won’t equal the marginal tax rate. A lot of the scenarios I’ve seen use the marginal tax rate only when calculating taxes on rrsp withdrawals which I don’t think applies to everyone, especially the marjority of us who don’t have a pension plan. Maybe a post on this topic is in order…. I wonder if you could use the TFSA to ‘bump up’ your earnings from a non-registered smith manouver account. I haven’t run through it and I’m at work so I probably can’t, but what if you use the smith to gain dividends from a HELOC and all the dividends go in to your TFSA and get reinvested in there, after that gains some momentum you can then use this as collateral to secure an additional line of credit to snowball your smith to new higher heights. It may be worth looking in to once all the rules are finalized. I’ll name it ‘the UberSmith’. Traciatim – that’s an interesting idea. I believe the normal SM is to use the dividends to help pay down the non-deductible mortgage which increases the amount you can borrow so I’m not sure if diverting that cash flow will increase your overall leverage or not. Nobleea – that’s a great idea. This is the situation that I’m in. 1) You lose the spousal tax credit on any income from the spouse. 2) I’m not sure exactly how the 3 year rule works for spousal rrsps. How do you (or more importantly the CRA) know that the money you are withdrawing has been in the account for three years and isn’t the money that was deposited last week? How can anyone claim this individual is facing MTR on his RRSP withdrawal of $10,000 when his total tax bill is only $489.10? I don’t know much about the spousal tax credit. Is there a certain income they can earn while still keeping the credit? I don’t know how much the credit is, perhaps it equates to more than $2K in tax savings every year. As for attribution rules, you’d have to do it in 3 or 4 year segments. repeat process starting the next tax year. during years 2, 3 you wouldn’t contribute to the spousal plan (maybe to yours and TSFA instead). Nobleea – if memory serves me correct I think we reduce our taxes by about $1800 if my wife has an income of zero. As she makes more money the credit goes down and disappears somewhere around $10k of earnings by her. Hmm, that’s quite a bit. I guess you wouldn’t be able to claim the tax credit in the 1 or 2 years (out of 4 or 5) where she is taking money out of the RRSP. But the other years you could. Now if only you could have 3 or 4 spouses, this could all overlap perfectly. Great post 4P. I agree with most of your assessments. I will certainly be using the maximum TFSA amount every year for my wife and I. It would really make no sense for me not to use the TFSA to it’s maximum because I invest quite a bit into a non-reg. account currently. MG – thanks. Yes, the TFSA is a useful tool for just about everyone to utilize in some way. As I see it, if you put your money in RRSPs, sooner or later, you have to take it out to spend it. When you do, it counts as income and you pay taxes on it, and (this is the kicker) you get reduced benefits for all kinds of stuff because you’ve made “that much money.” For example, my 80 year old father gets $800 or so in pension, but another $550 or so in GAIN, because his pension is too small. If he took any money out of RRSPs, or whatever they had to be converted into, he’s loose the GAIN, and the subsidy for his Assisted Living place, and… (it’s a long list). So, he would have to take out probably over $10 or more per year before he had any extra money to spend. His effective taxes would be huge. But, if I manage to put away $5k per year in this TFSP thing for the next 20 years, then I’ll have $100k (in today’s dollars, assuming the interest keeps up with inflation). But, the bonus is that I can take this out, or the interest earned on it, and spend it at any time without it being counted as income. I will continue to get whatever low-income subsidies that I manage to qualify for. I’d be technically poor, getting any available government assistance, but still have $100K in the bank, just for fun. Sure, for people that intend to retire rich, RRSPs may make more sense. But, for us regular folk that will likely get income support in our old age, these TFSAs seem to make a whole lot of sense. David – you have summed it up perfectly – RRSPs are not a good financial tool for low-income people. Non-registered accounts (and now TFSA) have always been a better choice for low income investing. This TFSA worries me. As you’ve pointed out, this is not as good a retirement savings vehicle as an RRSP. What really concerns me is that the Canadian government is not in the habit of giving out gifts to the Canadian tax payer and that is exactly what this account is. So why did they do it? To figure that out, let’s look at a few facts about our government. 1. The people who make up the rules only benefit from them for a short peroid of time. 2. Taxing money in the future isn’t as good for the government as taxing it now. People in power now would probably prefer the money now rather than in 30 years when they are retired. 3. The above point is also true from an inflationary point of view. Look at the tax you can take on $5000 now vs. the tax you can take on that $5000 investment, even after it has grown over 30 years. If you’re getting an average of 5% on that investment it’d be worth about $22000 in 30 years. What do you think the tax rates would be on both of those figures would be based on the sccenario of RRSP vs. TFSA? a) Let everybody get used to the idea of having a TFSA, some or many will even make use of it. b) Announce that they are phasing out the RRSP but because of their generous nature they will allow a portion, or maybe even all of your RRSP to be rolled into your TFSA, without a tax penalty. People will jump at this because it’d be an incredible deal. Not having to pay taxes on your tax free dollars? Yes please! But then we’d have screwed it for the future generations and all RRSP contributions will now be TFSA contributions made with after tax dollars. ANother Trojan Horse delivered by our government made out of thieves. DO NOT trust them whatever they give you, nothing is free nowadays, remember that. Find some “good” bank (we all know there is no good bank anyway) with some nice interest rate on your savings account and save it that way. Last 6 years, I put 80 thousand just in savings + interest of course that I get. That’s my savings account, that’s what’s going to pay my child’s education and help us in the future. No one is going to tell me what to do with my money. I worked hard for it and I can do with it whatever I want. Oh, yes… Have I mentioned that I never ever used credit cards? Not a single loan in my whole life, not a single cent of debt. If you manage your money properly, you don’t need these government suckers to tell you what to do with your money. You’re supposed to pee in the toilet. Not your corn flakes. 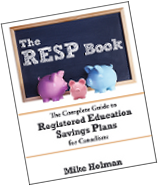 One of the RRSP arguments not frequently expounded on is the content of the RRSP itself. If I understand the argument correctly, a lower marginal tax rate at withdrawal time compared to the contribution time generally favours RRSP over the TFSA. I question the validity of this argument if most of the gains in the accounts consist of capital gains. I’ve used my TFSA for frequent trading and am generally able to average about $100/day on my $14k balance. I don’t always make it, but I am quite certain that this will be possible as a conservative average once I hit $20k. Don’t know how successfully this can be scaled up, but I’ll give you an update in a year or so. Assuming this is all valid, my point would be that the gains made would all capital in nature, but had it been in an RRSP, it would have been taxed at the max rate at withdrawal. In the TFSA, the entire growth (regardless of nature) is tax free, and in my humble opinion, makes it a superior vehicle (at least from a frequent trading perspective). I would like to hear of any support or criticisms of this scenario. Have I overlooked anything obvious? Trading fees are fairly negligible at $0.01/share. Anil – That’s a great comment and yes, it’s absolutely true. The higher the capital gain is – the more advantageous the TFSA is compared to the RRSP. I’ve been planning a post on this very subject. This is why it makes sense to try to put your investments with a higher expected rate of return (ie equities) in your TFSA and things like bonds in the RRSP.